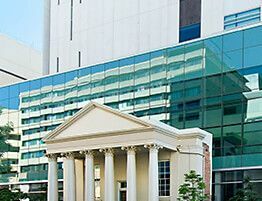 An expert team of Criminal Lawyers, Perrella Legal specialise in criminal defence work for all types of state and federal criminal offences throughout Western Australia. Incorporated in 2011 Perrella Legal has established a solid reputation for professional, honest and cost effective advice with a consistent record for outstanding results at defended trials and sentencing hearings. We invite you to read some of the typical results we have achieved for our clients. Engaging a lawyer can be a costly exercise and the consequences of choosing an inexperienced or inept lawyer can mean more than wasted money and disappointment; it could result in a disastrous outcome. When it comes to being charged with a criminal offence a disastrous outcome can quite literally mean the loss of your liberty. We believe you should not have to pay money just to locate a professional, experienced specialist criminal lawyer with proven results. Researching lawyers on the internet can only go so far to give you some insight into the best lawyer to resolve your criminal charge/s. It helps to actually meet, face to face, before deciding who to entrust your matter. If you have been charged with a criminal offence we make the process of finding the right lawyer easier by offering a free, no obligation, initial consultation with one of our specialist criminal lawyers. Some law firms offer a free initial consultation which is rushed, ill-prepared and with most of the time spent by the lawyer explaining how they intend to charge you rather than providing any clear and meaningful guidance on the client's charge/s. During the initial consultation at Perrella Legal, we will explain the criminal law as it relates to your charge/s; the court process; the likely outcome for your charge/s; the time frames for each step of the way; our fixed fee billing structure and much, much more. A free initial consultation with Perrella Legal may take up to 1 hour and you will leave the meeting far better informed and empowered to make the right decision about who to entrust with your criminal law matter. We understand that being charged with a criminal offence can be a stressful and frightening experience. From the moment the police want to question you or your loved one it is imperative that you speak to us FIRST to ensure your rights are protected and to ensure that future avenues of defence are kept open. What a person says or does at the very early stages of a police investigation can significantly affect, if not determine, the outcome of the matter well before any charge is laid. Whether you are innocent or if you know you have done wrong, if you are not being advised and represented by an experienced criminal law specialist you are risking your reputation, your career, your relationships and quite possibly your liberty. No time billing. Only fixed fees. Often the greatest hesitation in engaging a lawyer is the fear of an uncertain legal bill. At Perrella Legal, we believe certainty of costs is just as important as the certainty of outcome. We do not believe that billing clients in six-minute increments on an hourly rate for time spent on their matter is a fair or reasonable approach. We believe that time billing is a draconian practice which rewards the lazy or inept lawyer. Lord Denning in Chamberlain –v- Boodle & King  3 All ER 188 summed it up best when he said “Time costing rewards the inefficient”. 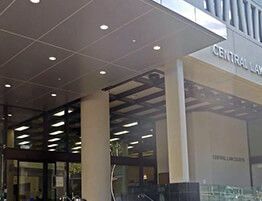 In an article in the Australian Financial Review of 20 March 2009, the general counsel and company secretary of Ramsay Health Care was quoted as saying “Hourly billing does not encourage excellence, strategic thinking or ingenuity. On the contrary, it tends to reward inefficiency, or in some cases inexperience or even incompetence”. We agree. That is why at Perrella Legal we have never charged legal work by time billing - and we never will. Each case is dealt with as the most serious case we have at that time. 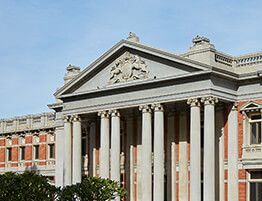 Our specialist practice of criminal law finds us representing people across all of the courts throughout Western Australia. 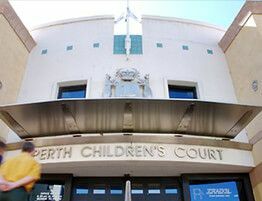 We regularly defend clients in all courts throughout Western Australia, but particularly in the District Court and Magistrates Court. You do not have to be charged with a criminal offence to use our service. We regularly advise clients who have been contacted by Police who are either wanting to interview a person or are seeking permission to search their premises or vehicle. In these situations, it is vital that you are aware of your rights and the extent to which the police may infringe your civil liberties. This is where early legal advice can make all the difference to the outcome of the matter if you are charged and indeed whether you will be charged. If you, or someone you know, requires legal representation or advice, please contact us immediately. We are available for advice falling outside of business hours (+61 8 9225 6646). Quality Practice Standard law firms are audited each year to ensure they comply with standards which go beyond the requirements set out by legislation. 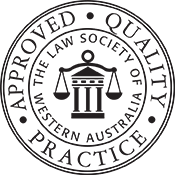 Perrella Legal is the first, and only, law firm practising exclusively in criminal law to achieve QPS accreditation from the Law Society of Western Australia. On behalf of J & the family, we can't thankyou enough for all your support & assistance you have given not only J, but all of us, Your manner Michael, is extremely calm from the minute we met you, which immensely assisted us with stress levels. Your breakdown of financials & law procedures on first interview is one of the most amazing things I have ever witnessed when dealing with a lawyer. We knew upfront a good est of cost, rather than hidden fees and extra hours, Your commitment, is unmeasureable and I am so thankful for having you stand beside my brother through such a horrific time in his life. sincerely appreciated!! Your staff are to be commended for following your mannerism & excellence of service. I highly recommend you and your firm to anyone, especially with criminal charges. No words can do justice to describe the experience we had with Michael Perrella. Initially, we sought legal advice from a solicitor regarding my son’s case. My husband and I quickly came to the conclusion that he did not ‘take ownership’ of the case, nor did he display any form of compassion. Put simply, we felt that we were just ‘another number’. Fortunately, we met Michael who was everything and much more than we had hoped for. His professionalism, extensive knowledge of the law, attention to detail and most importantly, his compassion made us feel at ease in what was a very emotional and stressful time for our family. My son’s charge was extremely serious, one that warranted definite imprisonment. However, the defence Michael had prepared and delivered was phenomenal and thus, as a result my son was given a suspended sentence. My family and I are indebted to Michael for everything he has done. Through this trying ordeal, not only do we have our son at home, my family has gained a friend, Michael, and for both we are forever grateful. I would like to take this opportunity to sincerely thank you for your support and services for my Son, [D]. I believe that your guidance and prolonging the Trial Date, as long as possible, helped tremendously in [D’s] favour. It could have been much worse. In addition, I deeply appreciate your fee’s agreement and understanding. Please allow my family and I to take this opportunity to wish you all a wonderful Festive Season, a Merry Christmas and a Happy and Prosperous New Year. Thank you very much for your diligent assistance in my legal matter. My sincere thanks to you and your team for assisting me and providing outstanding advise. I was always able to depend on your knowledge regarding my legal needs. I would recommend your service to anyone and everyone as i believe you are one of the very best Lawyers. I wish you good luck and only the very best. Hi Michael, thank you for your efforts over the last few weeks. It was great to get the not guilty verdict[s] today. Throughout the trial you showed professionalism with even temper against a particularly feisty, difficult and unrelenting opponent who failed to play by the rule book. Well done to you. Enjoy the weekend. Will talk soon. I have no hesitation in recommending Michael of Perrella Legal to anyone who requires the services of a professional and well respected Lawyer and Firm. His knowledge and expertise of the law resulted in the best outcome imaginable for my family and I could never fully express how grateful and thankful we are. Michael Perrella is a kind and compassionate person and is someone you want representing you in any capacity. Thank you Michael & Adam. Without you both we would not have achieved a favourable outcome. You were thorough, compassionate and always kept us well informed on proceedings. We are forever grateful for your professional services. We would highly recommend Perrella Legal. On behalf of my partner and me, I express gratitude for Perrella Legal's professional and respectful approach to a sensitive and personal matter. Adam and his team guided me through a particularly tough and emotionally draining ordeal. Perrella's service and support is outstanding and I recommend this firm to anyone seeking resolution with their criminal matter. Thank you. Thank you very much for once again helping out my client as it is not easy finding lawyers who are youth friendly and you have done an amazing job.